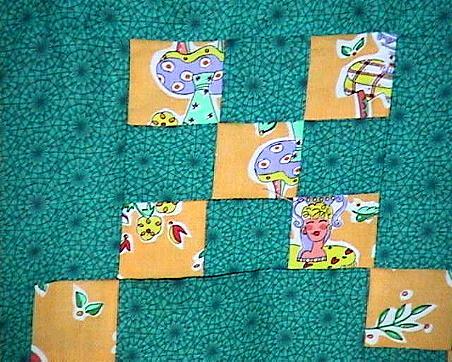 This sale is for a beautiful newly made lavendar, yellow, green single irish chain quilt top. I added the Ohio star variant blocks on each corner to make this top more unique. 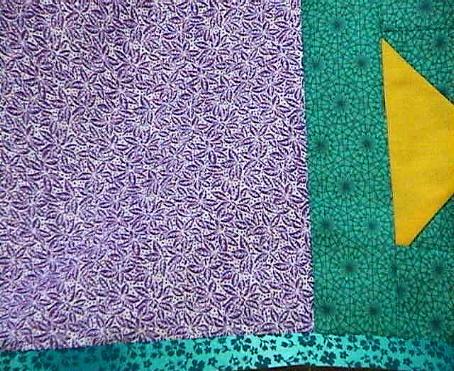 All fabrics are 100% cotton except for the solid yellow that is a good quality cotton blend. This top will almost fit a full size bed. Add a beautiful border to enlarge it if you would like to. My tops and blocks are pressed during and after construction.